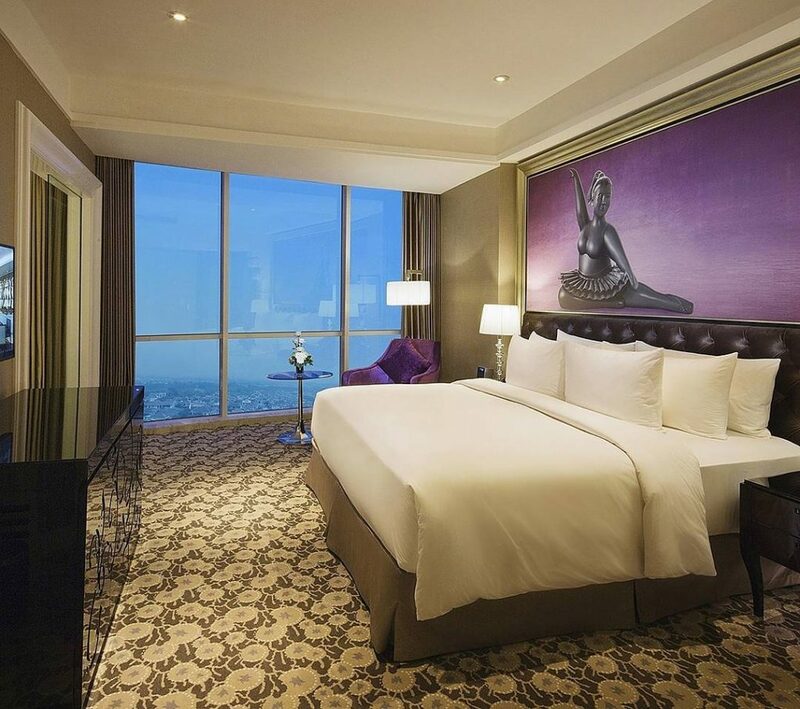 Located in the financial district of Surabaya, JW Marriott Hotel is considered by many to be a premier luxury option. 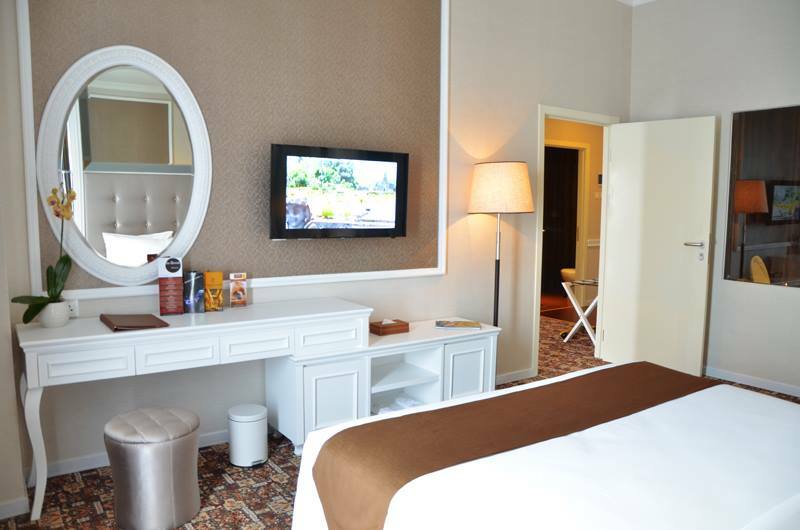 It has a whooping 407 rooms furnished with premium bedding, marble baths and European-styled decor. Avid shoppers will enjoy the convenience of shopping malls like BG Junction, Tunjungan Plaza and SOGO just minutes away. The hotel offers free shuttles too! After a long day out, take a dip in the hotel’s outdoor pool or indulge in a soothing massage in their health club that is guaranteed to relieve aches and calm your senses. 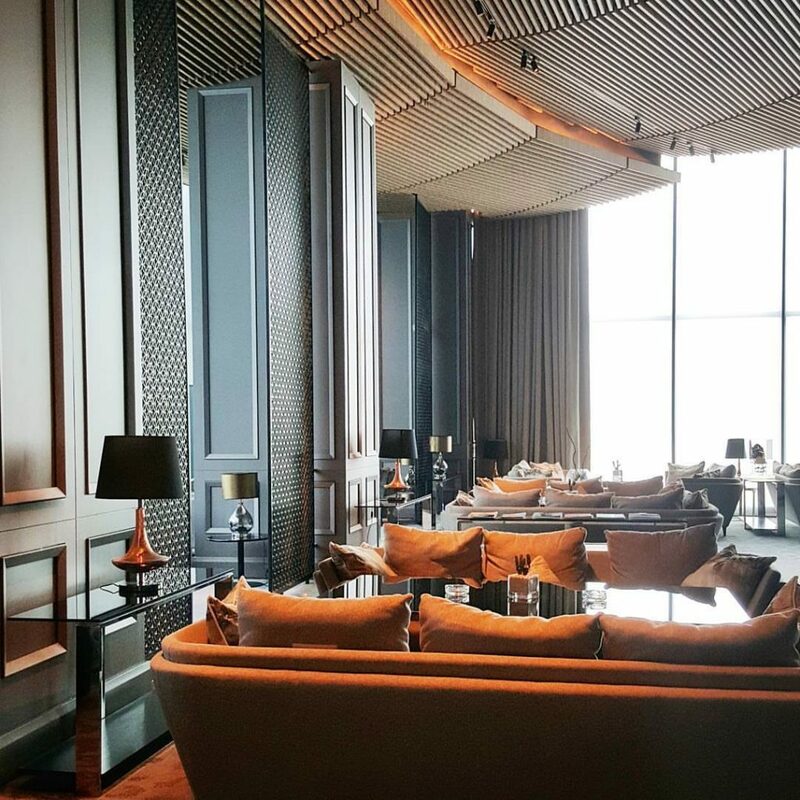 JW Marriott also has specialised French, Chinese and Japanese restaurants, on top of their pavilion restaurant which offers all-day dining, daily thematic buffets and seasonal menus that will whet your appetite and leave you wanting more! This is without a doubt one of the best Surabaya city hotels near Tunjungan Plaza Mall, second only to the next hotel on this list. Strategically situated in the heart of the business district and Surabaya’s city centre, Sheraton Surabaya offers spectacular city views. It is an eco-friendly accommodation with rooms that come complete with flat-screen TVs, spacious bathtubs and a touch of elegance. Only a short distance from the Joko Dolog Statue, the Pointed Bamboo Monument, Grahadi and directly connected to Tunjungan Plaza shopping mall, you’ll be able to visit these famous Surabaya locations with ease! Don’t miss the chance to indulge in the hotel’s superb range of facilities from tennis courts to saunas, fitness centers to various dining options, allowing you to create a memorable experience in this luxurious 5-star hotel. The undisputed best of the best Surabaya city hotels near Tunjungan Plaza Mall. 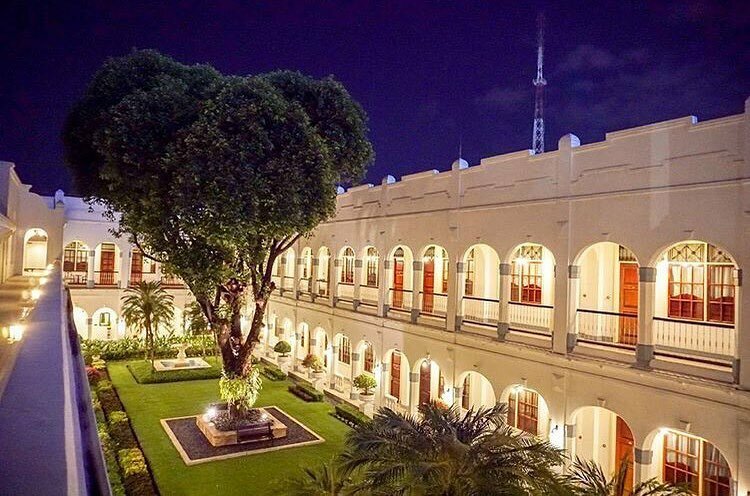 This majestic hotel has a unique presence that has kept its guests coming back every time they visit Surabaya. 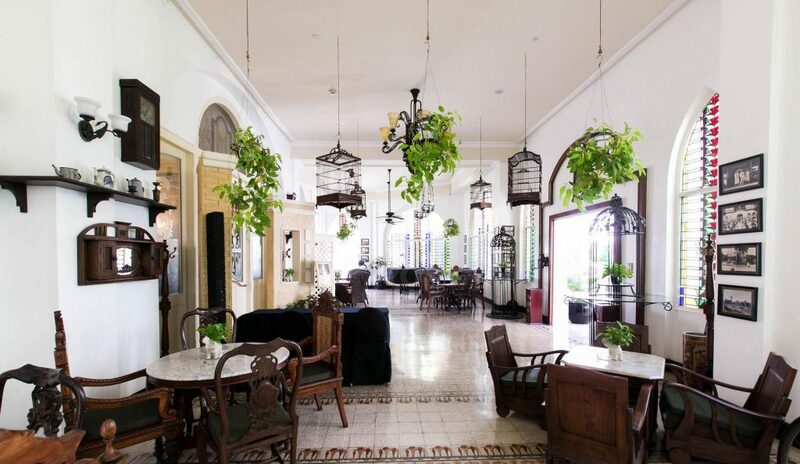 A historical building that induces a hint of nostalgia, Hotel Majapahit is impeccably maintained with an architecture that preserves its long heritage. 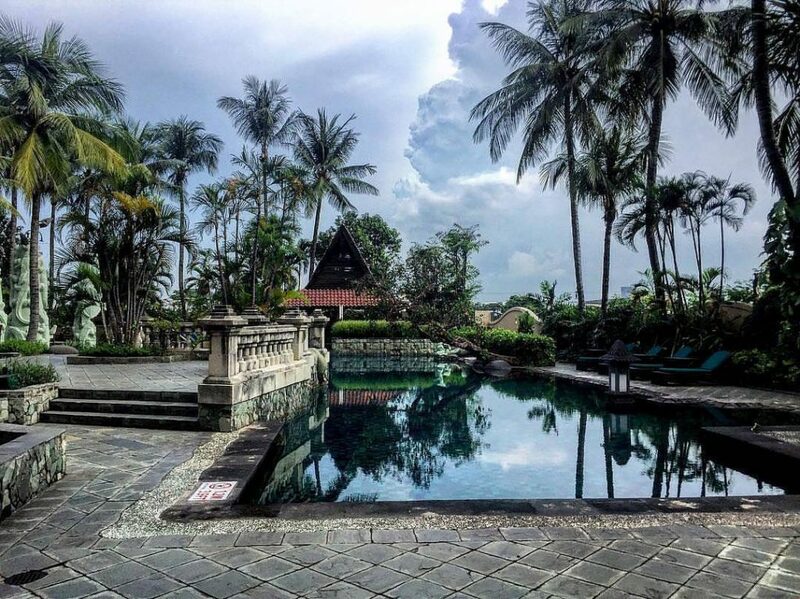 The beauty of Hotel Majapahit is enhanced with its spacious garden, outdoor pool and serene walkways. Rooms comes with bedding build for comfort, and marble and gold-plated bathrooms. You’ll love the beauty treatments offered at their spa, equipped with a sauna, and the various cuisines found in their restaurants; from Euro-Asian to Chinese cuisines, you will have a culinary dining experience unlike any other! Hotel Ciputra World Surabaya is a high-end hotel delivering excellence in service and amenities that luxury travelers have come to expect. 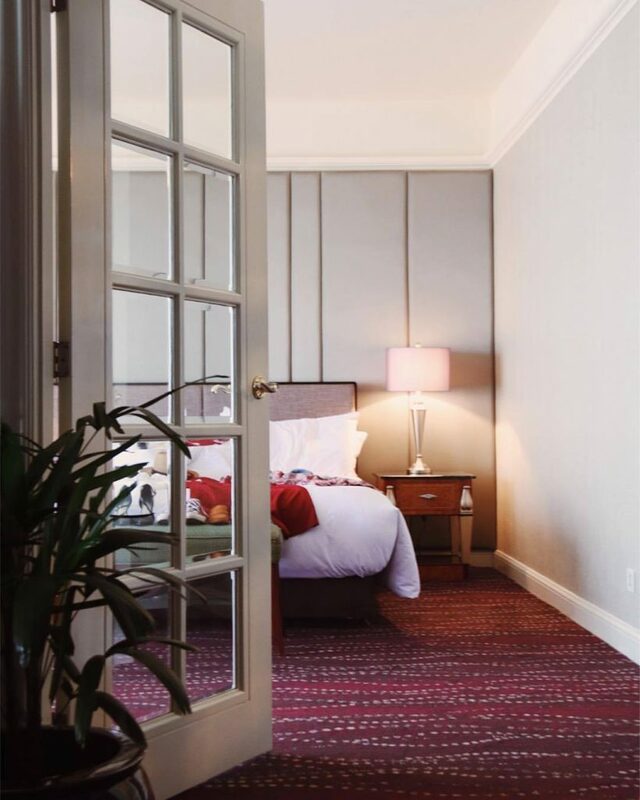 With over 200 rooms that are spacious and tastefully designed, it is the perfect place for a quality weekend stay in Surabaya. 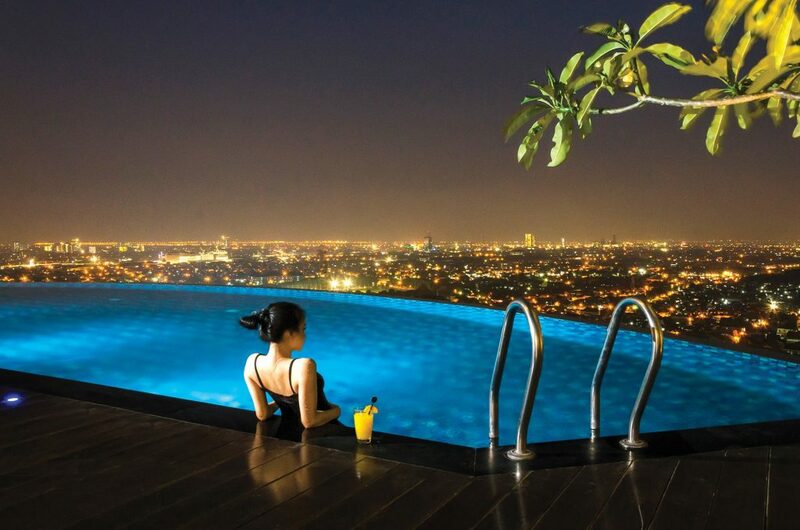 Take in the panoramic city view from the rooms or the rooftop infinity pool overlooking the city centre – it is simply breathtaking! 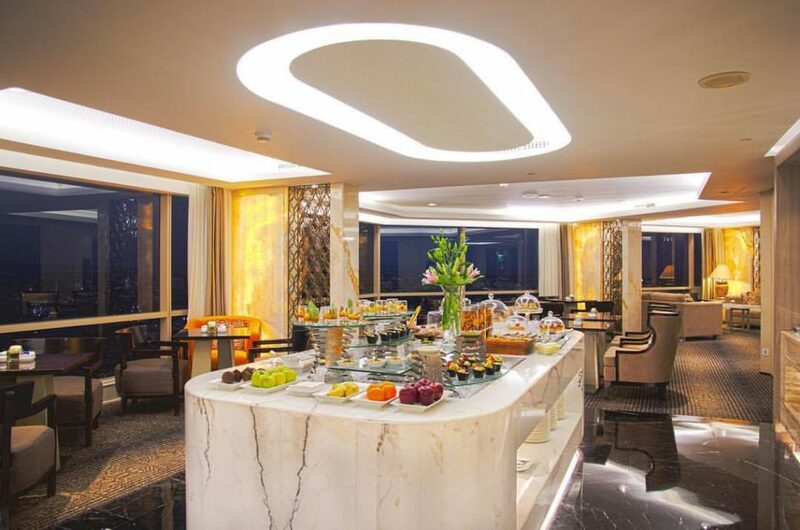 Their two on-site restaurants serve Indonesian and Western cuisines, but guests can enjoy more dining options at Surabaya’s most urban shopping mall, Ciputra World Surabaya which is connected directly to this hotel. Yes it’s not the nearest hotel to Tunjungan Plaza, but so what? It has its own mall! It is still one of the most popular and best Surabaya city hotels. Located in western Surabaya, this hotel is a verdant resort-style oasis that offers consistent quality and service for the discerning traveler. 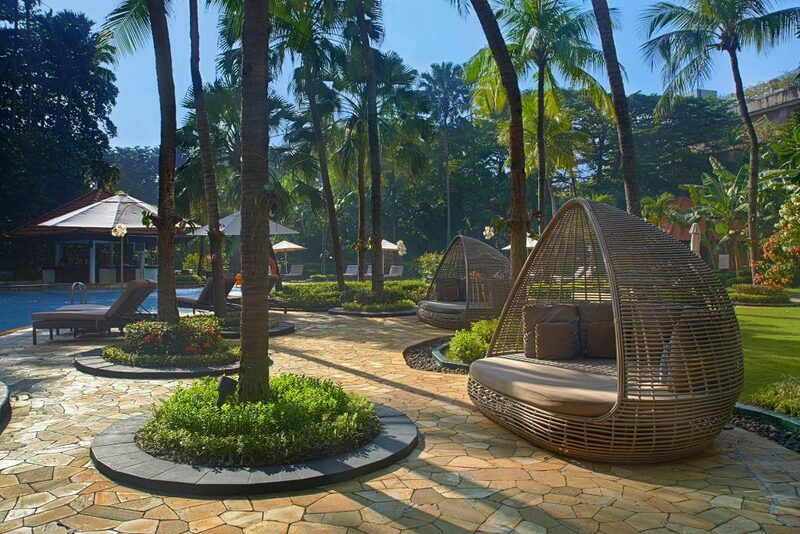 With an outdoor pool surrounded by palm trees, an overnight stay at Shangri-La gives you a chance to revitalise your mind and body in a serene and beautiful environment. You will also enjoy relaxing in any one of their 368 rooms that is decked with luxurious bedding and sophisticated interiors. If you’re looking for something to do, hop on their free shuttle service to nearby Ciputra World Shopping Mall and Surabaya Town Square for a exciting day out in town! 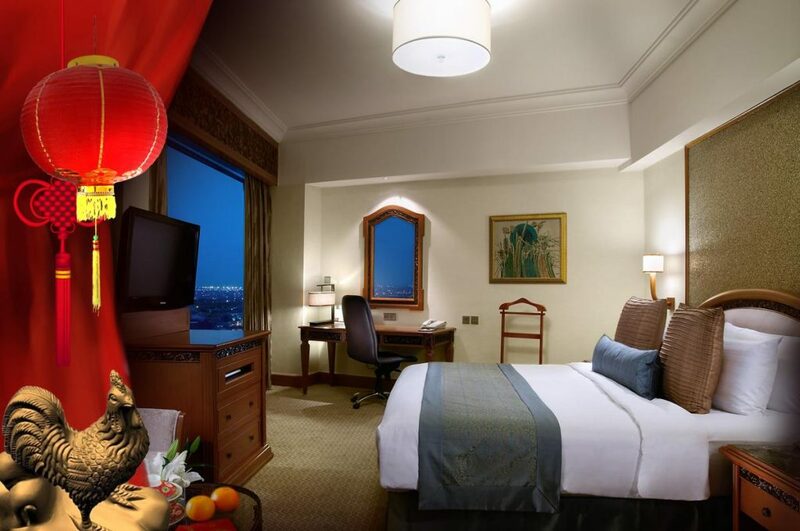 If you are looking to pamper yourself, Rich Palace Hotel is a splendid choice for luxury travelers. 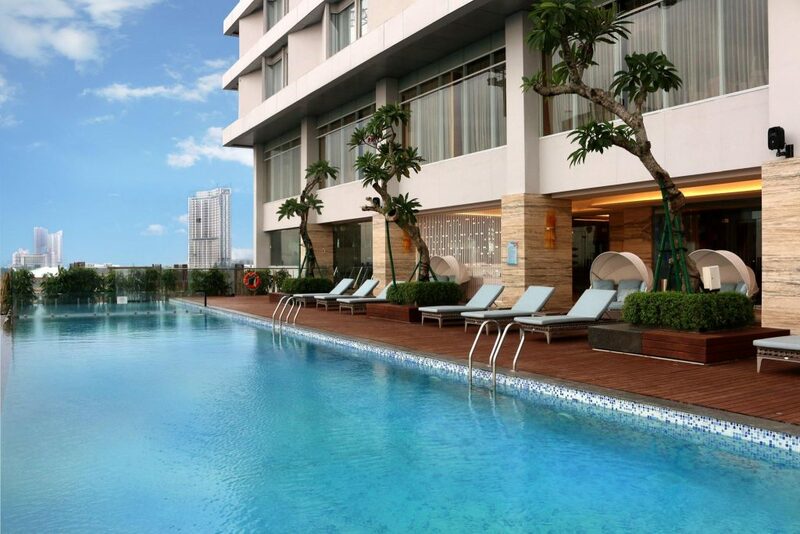 Situated in the business district of Surabaya, this hotel is accessible to Supermall Pakuwon Indah, Bukit Darmo Golf Surabaya and other great places for a day out. If you are staying in, relax by the pool, enjoy the full-spa service or visit their nightclub, fitness facility or lounge for an unforgettable 5-star experience. Spend the night in one of their 200 sleek and elegant rooms that offers a complete range of amenities and exclusive service. 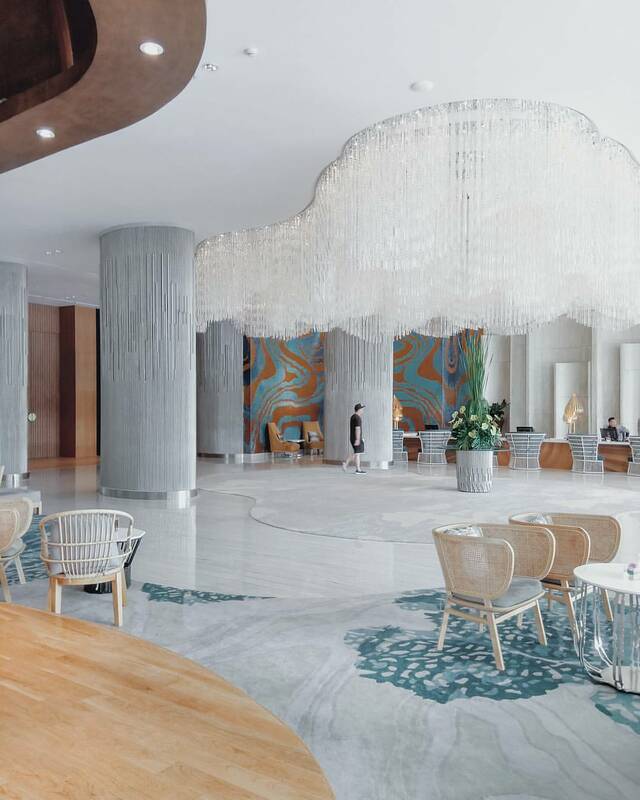 A glitzy, new hotel that opened its doors in November 2016, Vasa Hotel Surabaya boasts luxury accommodations, modern facilities and a contemporary design. It offers extravagant rooms, suites and apartments that are styled with elegance, and restaurants that serve delicious international and local cuisines. 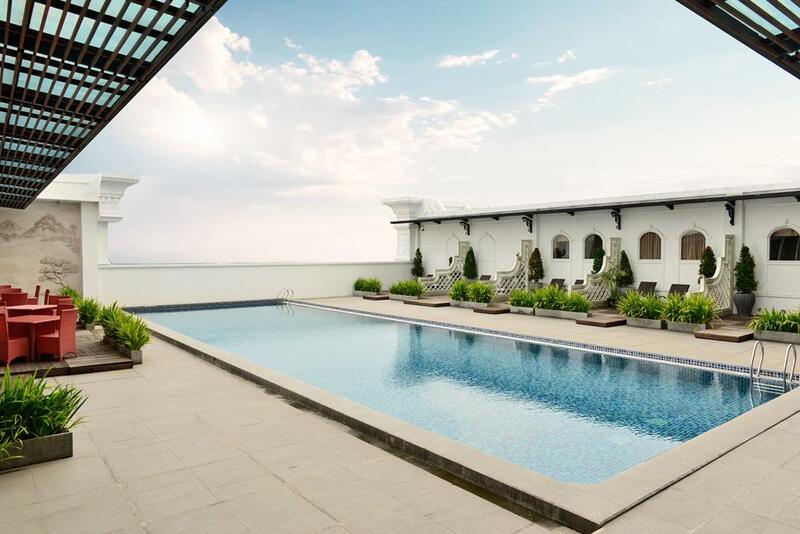 This hotel is equipped with an Instagram-worthy outdoor pool with a view, a state-of-the-art fitness center and a kids’ corner. It even has a wedding chapel and a helicopter pad! Vasa Hotel wows its guests with their superb facilities and excellent service that is unparalleled; you’ll wish you can stay longer!